Ferrari is probably the most recognisable luxury performance vehicle on the road. Yes, designs of the models through the years have been distinctly different but the Ferrari pedigree, and of course the prancing horse, are immediately recognisable. The California name was revived in 2008 in their Pininfarina designed, front-engined V8 cabriolet, the first time Ferrari had put a V8 in front of the driver. 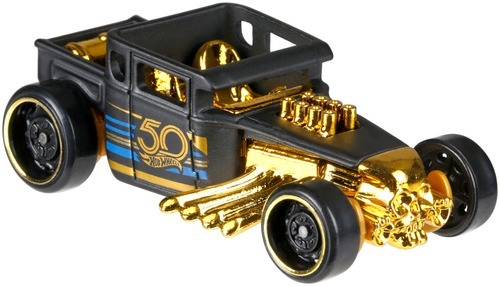 Then in 2014 Ferrari did something they hadn’t done since the F40 in the late eighties and early nineties, turbocharge. So the overall feel and energy of the California T is lifestyle and glamour and the California T Lusso Edition is exactly what the word means “luxury”. 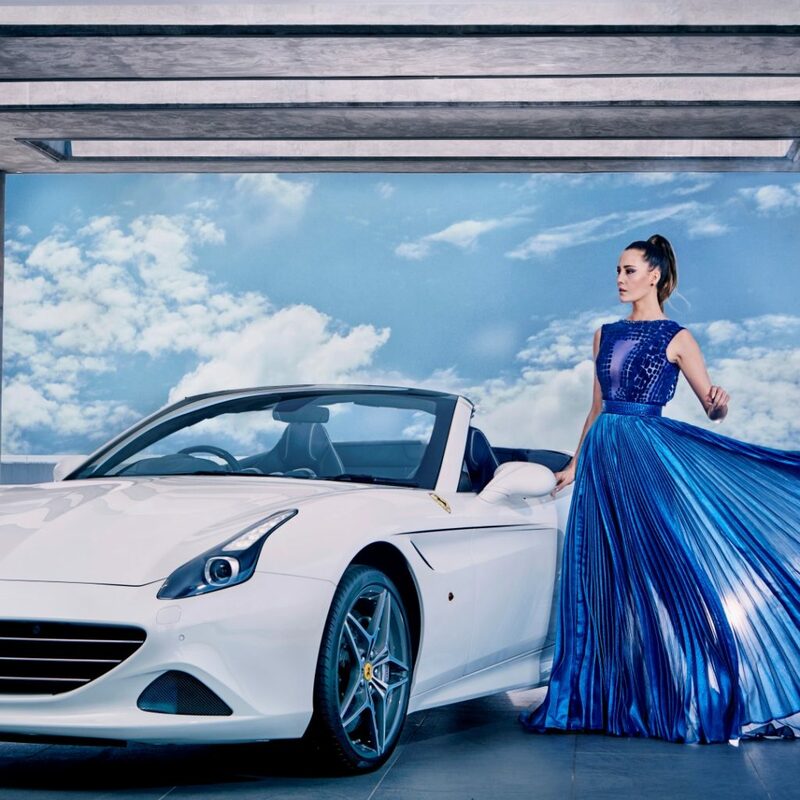 Prestige was delighted to be a media partner to a luxury collaboration of fashion, beauty, grace, performance and excellence between Ferrari and Gert-Johan Coetzee. What better backdrop than the new showroom of Scuderia South Africa in Bryanston with its minimalist lines and vast, open interior spaces where Ferrari cars are showcased with little intrusion and stand as focal points within the architecture. What better backdrop than the new showroom of Scuderia South Africa in Bryanston with its minimalist lines and vast, open interior spaces where Ferrari cars are showcased with little intrusion and stand as focal points within the architecture. Photographer Nick Boulton directed models Jay Anstey and Thando Hlopa across the showroom, from the open terrace on the top floor to the showroom floor and the workshop, with the Ferrari California T Lusso Edition as centre piece and Gert-Johan’s AW16 collection as embellishment. • The concept behind the collaboration was to align the Ferrari brand with a truly bespoke designer who could integrate the finer qualities of Ferrari into their designs and collections. 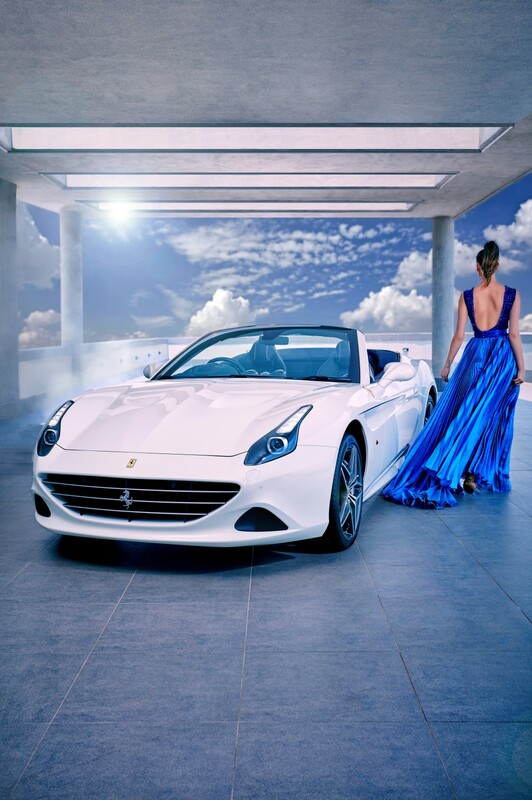 • An effortless marriage of incredible versatility, design excellence, sophisticated beauty is evident in all Ferrari models and similarly in the collections of Gert-Johan Coetzee. • Fashion is an important aspect of any inspired lifestyle and the link between couture and motoring lies in precision design. 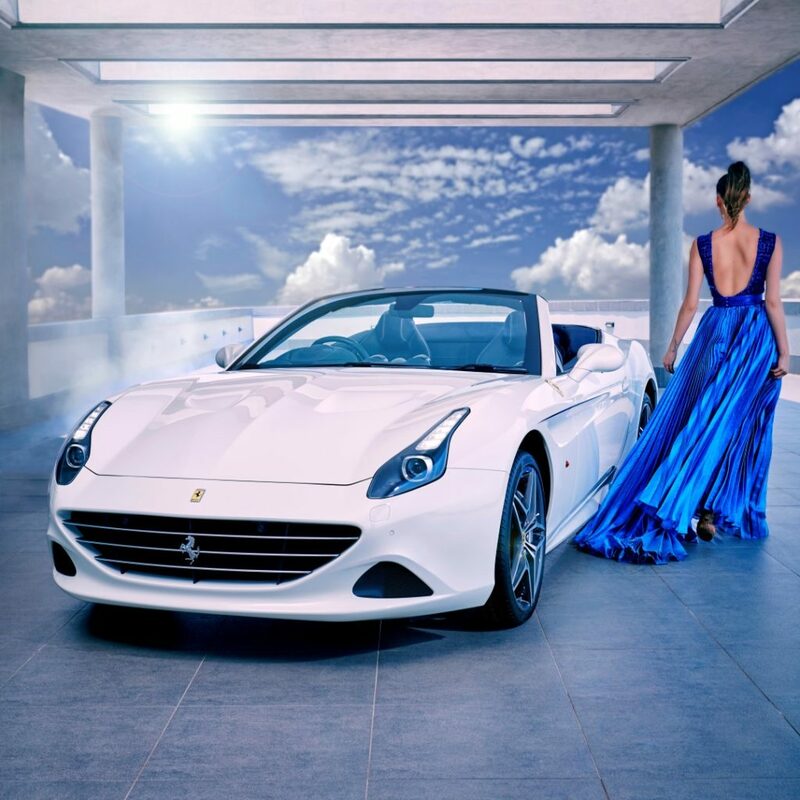 • Whether on the open road or on the fashion runway, a deeper understanding and appreciation of luxury is a trait shared by motoring connoisseurs and fashionistas alike. • Each and every Ferrari is the result of an uncompromising design approach which is reflected in that of its lines, beauty, elegance and the ability to bring an aesthetic concept to life. • During this photoshoot our attention is centred on our extraordinary California T Lusso Edition although aesthetically captivating, its true beauty lies in its comfort, versatility and performance. For more information on the California T Lusso edition, contact Scuderia South Africa, the official Ferrari dealer in South Africa.